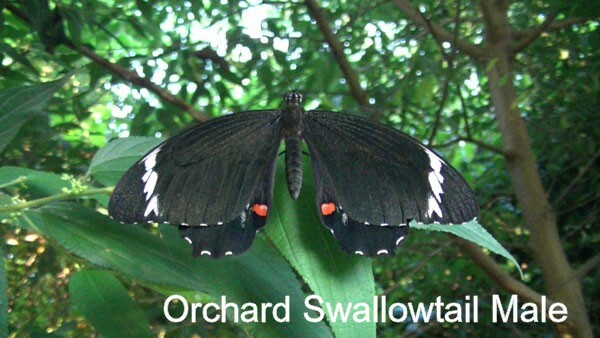 The images displayed below illustrate the butterflies found in south eastern Queensland and northern New Wouth Wales that may be confused with the Richmond Birdwing Butterfly. There are few butterflies that could be confused with the male Richmond Birdwing when in flight. 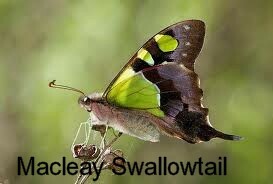 The smaller and lighter green Macleay Swallowtail may be mistaken for the male Richmond Birdwing if one has never seen the male in flight. 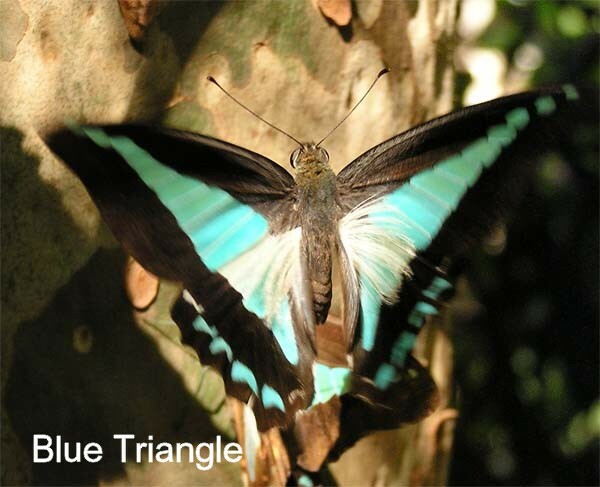 However, when the male Richmond Birdwing is at rest with wings together, some people confuse the Blue Triangle and the Pale Triangle with the Richmond Birdwing Male. There are a number of butterflies that are confused with the less colourful female Richmond Birdwing Butterfly. 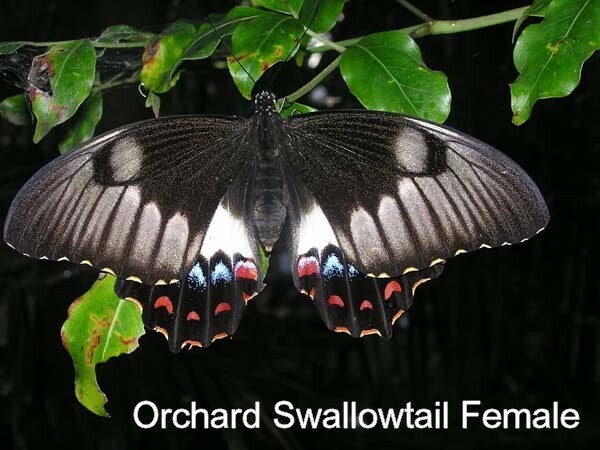 The most obvious one is the Orchard Swallowtail. Click on each of these images below to view the differences between the butterfly displayed and the Richmond Birdwing Butterfly. Most of them are quite different from the Richmond Birdwing Butterfly. In Queensland, it is illegal to capture a protected species or subspecies without the relevant permit. 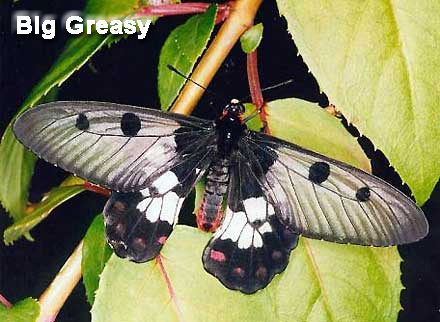 The Richmond Birdwing Butterfly is one of these. All of the other butterflies displayed on this page and in this section are not protected. Butterflies are hard to photograph especially if they are moving. 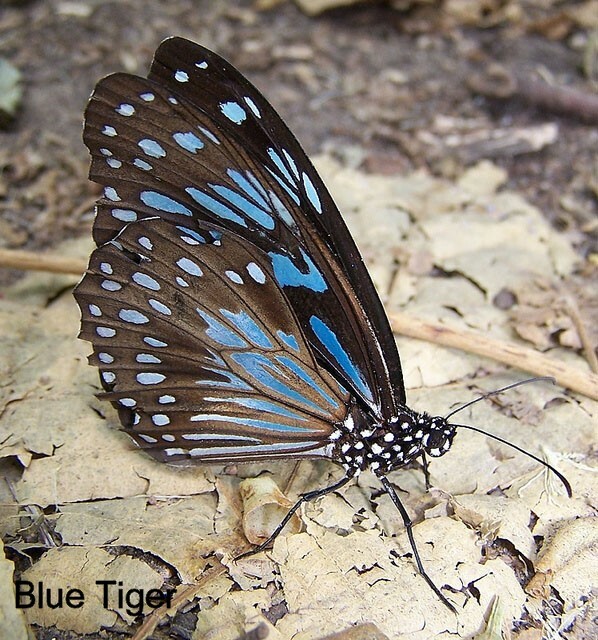 Click here to see ways that you can identify a butterfly using a digital camera or a digital movie camera.